Do you want to have a professional email address? If you’ve just set up your photography website, you’re probably ready to have an email address at the new domain name. Its a fact that clients who see a @gmail.com or @yahoo.com at the end of your email will likely not have a professional outlook of your business. In this article, we will show you how to create a professional email address for your photography business using your website domain. This branded email address uses your official domain name. For example, ‘kim@myphotography.com’ is a professional email address, whereas ‘kim.photography@gmail.com’ is not a professional email address. Once you’ve set up your own photography business and built a photography website, having a professional email address is a must. Most WordPress hosting for photographers have an option for unlimited email accounts. However, if you don’t choose a reliable provider, you could run into technical problems. We recommend G Suite by Google with Gmail for your professional email address. It has a 15-day free trial, so you can get comfortable with the platform before purchasing it. However, the monthly cost is $5 per user (you can save $10 by paying yearly). Now that you know why we recommend Google’s G Suite, let’s take a look at how to set up your branded email address. 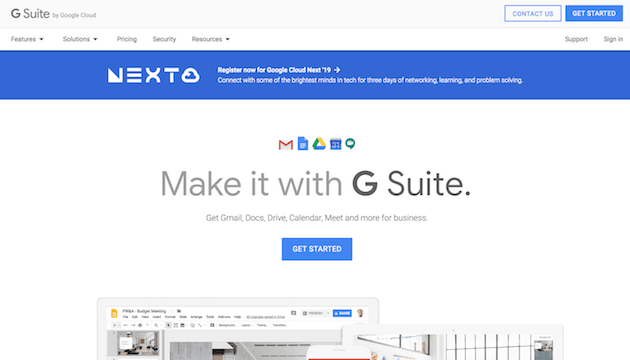 Go to the G Suite website, and hit the Get Started button. You’ll need to enter your first and last name, a valid email address and phone number, and your business details. Then click on the Next button. Next, you’ll be asked to answer a few questions regarding your business. You have should signup for a new domain or enter a domain name you have already purchased to continue. 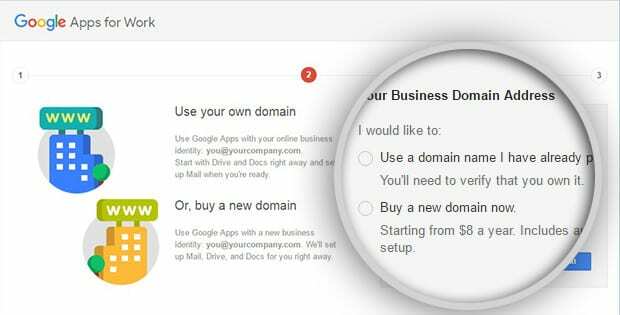 If you choose to purchase a new domain name from this page Google will automatically set up your professional email address. If you already own a domain name, enter the URL here, and click on the Next button. After entering your domain, you will be asked to set up your G Suite account. For this step, you’ll need to choose your branded business email address. For example, kim@yourdomain.com. Be careful, because this first email address will become the administrative user for your G Suite account. It allows you to create more email addresses and aliases. Add your username and password. 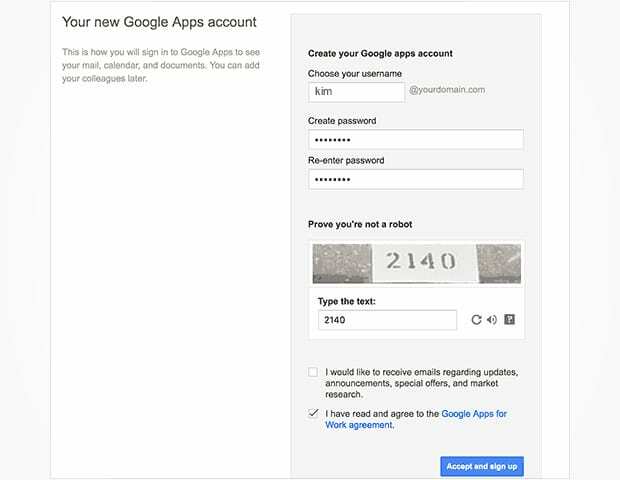 Then mark the ‘I have read and agree to the Google Apps for Work agreement’, and hit the Accept and sign up button. Your G Suite email account will be ready shortly. It will take you to the progress dashboard. This completes your first step. 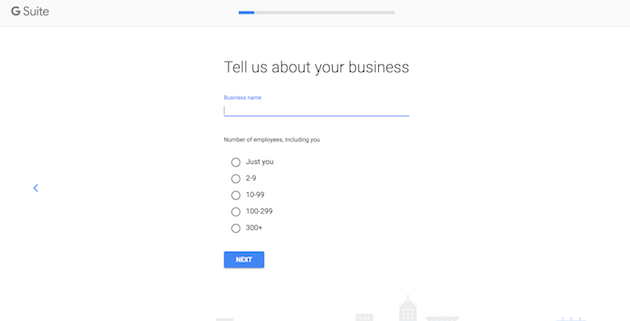 In the next step, you need to add users for your G Suite account. Go ahead and click on the Start button. A popup will appear where you need to add the first and last name, username, and email. Make sure to click on the Add button. 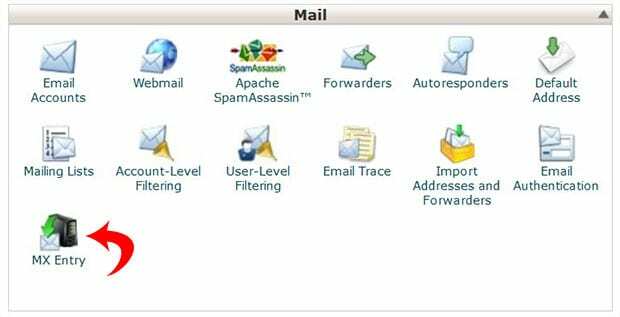 Once you are done adding all the users you need, check the box next to ‘I added all user email addresses currently using kim@yourdomain.com’. In this next step, you’ll need to verify the ownership of your domain. There are multiple methods of domain name verification. Some of the methods include: adding a meta tag to your website’s header, uploading file to your web server, or adding a CNAME record. Choose one method of verification. We think the easiest method is the meta tag option. Simply copy the meta tag code from Google Apps setup screen, and paste it into your website’s header. Or, to make this even easier, you can add the meta tag to your header with the help of the Insert Headers and Footers plugin. You’ll need to install and activate the plugin first before you can use it (here’s how to install a plugin in WordPress). 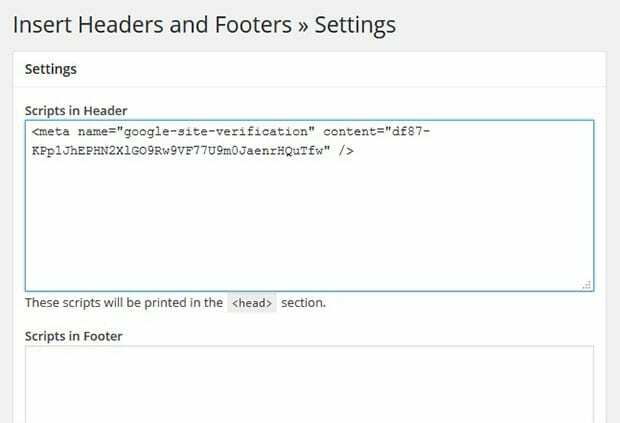 Next, go to Settings » Insert Headers and Footers, and then paste the meta tag code into the Scripts in Header section. Now go back to your Google Apps for Work setup and check the box that says, ‘I added the meta tag to my homepage’. In the next step, simply login to your cPanel, and go to MX Entry in the Mail section. Select your domain name to see more options. Then go to MX Records, and delete all the existing records. 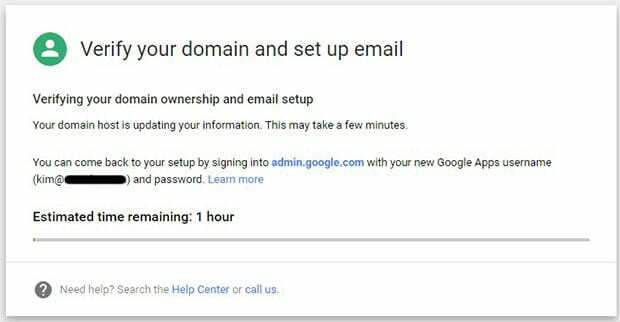 After deleting all the MX Records, go back to the Google Apps for Work setup and check the box that says, ‘I have opened the control panel for my domain’. Now you will see a list of MX Records that you need to insert into the MX Records section under your MX Entry page. Go to the MX Entry page again from your cPanel, and click on the Add button. Add all the MX Records that appeared on the Google Apps setup page, and set the respective priorities for each. Make sure there are no typos. Next, go back to the Google Apps for Work setup page and check the box that says, ‘I created new MX records’. 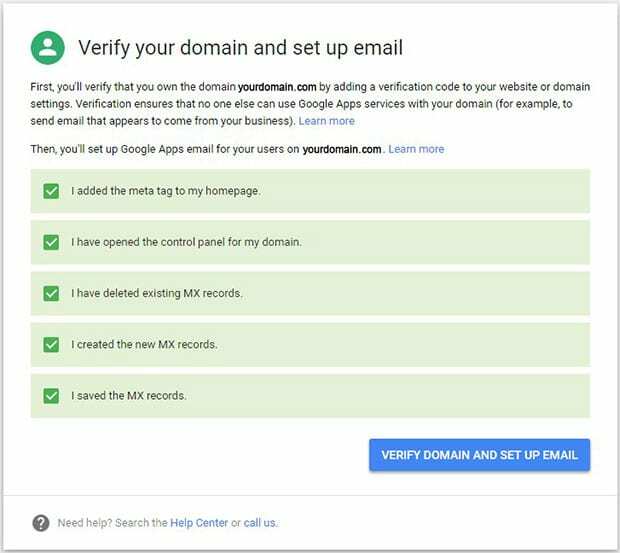 Since you have already deleted the existing MX Records, check the final two boxes as well, and click on the Verify Domain and Set Up Email button. MX Records takes some time to update, and you will be notified when it is finished. Once the domain verification is completed, you will see a success message. Go ahead and click on the Next button. 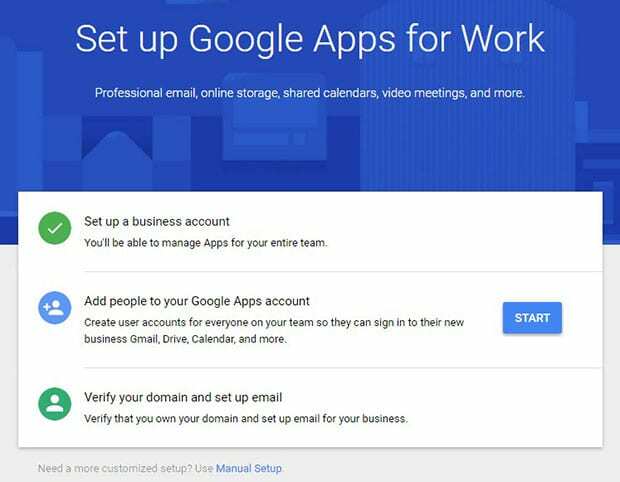 Your Gmail and Google Apps for Work account is ready to use! 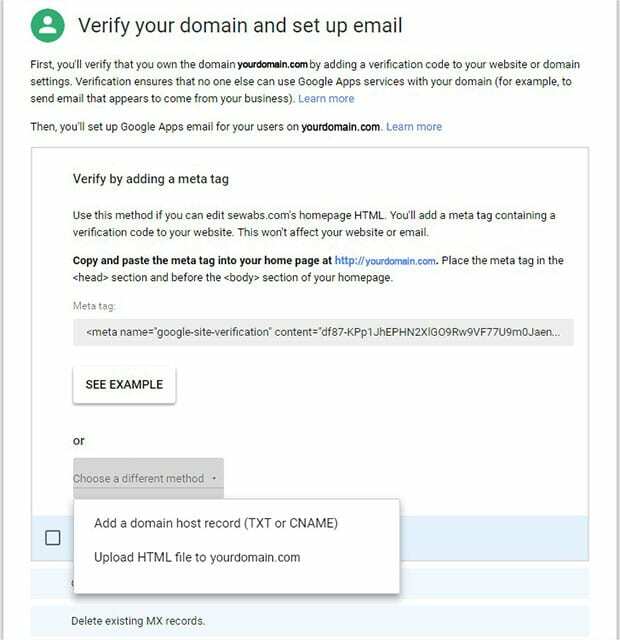 To use your new professional email address, go to the Gmail website and sign in with your branded professional email address (kim@yourdomain.com) and the password you set. It will work like any other Gmail account. 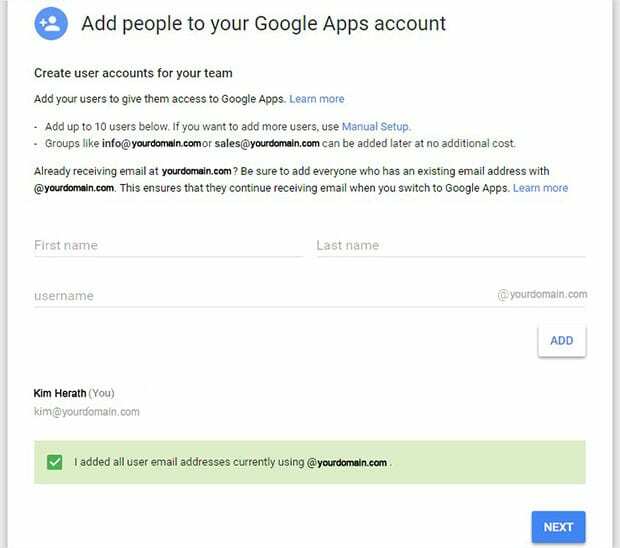 Other than that, you can go to the Google Admin Console to manage your Google Apps for Work account using your branded email. If your cPanel dashboard looks different from the one shown in the images above, then click here to set up MX Records (host-specific setup), and select your domain registrar. If you can’t locate your service provider in the list, simply contact them, and they will help you setup G Suite for your domain. We hope this article has helped you to learn how to create a professional email address for your photography business. You may also want to check out our guide on how to create a photography website in WordPress.